A duplicate of the certificate on birth of the child can be obtained on the basis of article 9 of the Federal law "On acts of civil status". To receive a copy should contact the Registrar's office at the place of registration of birth or place of residence. - photocopies of all documents. If you have lost birth certificate of the child or it came in improper condition, please contact the registry of acts of civil status. Write a statement indicating the reasons for the loss of the birth certificate. Present your passport, marriage certificate or divorce papers and a photocopy. In the statement, specify your passport data, name of child, place of registration and address of actual place of residence, date of birth, the date of registration of birth in surrogacy, the place of registration. For a duplicate may apply only one of the parents, guardians or legal representatives of the child, if they are not deprived of parental rights. Also, duplicate can get yourself an adult citizen, a notary Trustee of parents, guardians or legal representatives. If the first record instance of the Registrar's office is preserved, that the terms of issue of the duplicate shall not exceed 30 days. When applying, you will indicate the day in which you can apply to the registry office and get a duplicate. Often there are situations when the first copy of the record of the Registrar's office lost. In this case, to apply to local authorities where there is a second copy of the recording of acts of civil status. The timing of the receipt of the duplicate can be delayed up to two months. If the registration of birth was made in a different region, you can contact the place of his actual residence. The Registrar will make a request on the basis of which you will be able to duplicate. The timing of the receipt of a duplicate birth certificate can take up to three months, especially if the first copy of the Registrar's office lost, and it happens not so rarely because of fire, flood, careless storage. 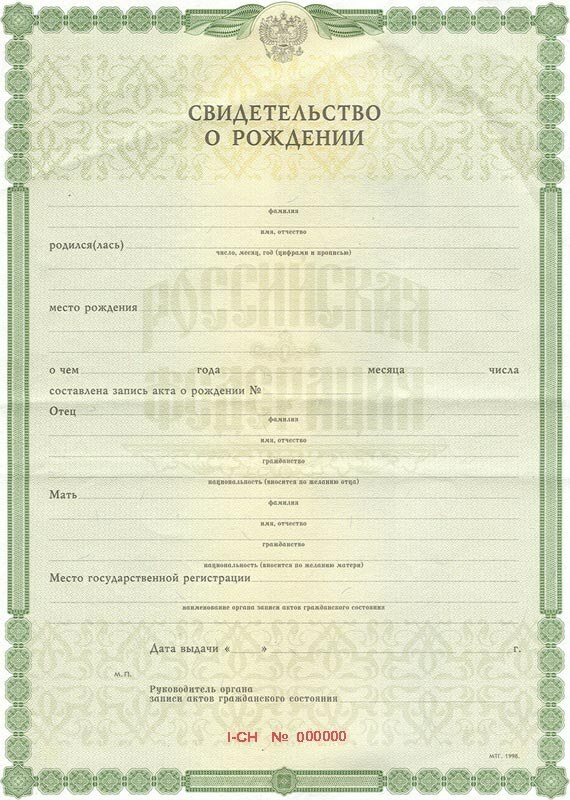 A duplicate of the birth certificate is issued free of charge. Payment of state duty is not provided.